This stunning console table is truly a work of art by nature. Talented artisans have carved this large table from the root of a teak tree. Each piece is filled with interesting character and texture. The visible grains of wood are simply beautiful. The Max Organic Teak Console Table is large, robust and solid in weight. Set up the entryway to your outdoor space with this grand masterpiece. It pairs well with many of our reclaimed teak furniture pieces. Please note that each console table is different and will vary slightly in size, texture and hue. 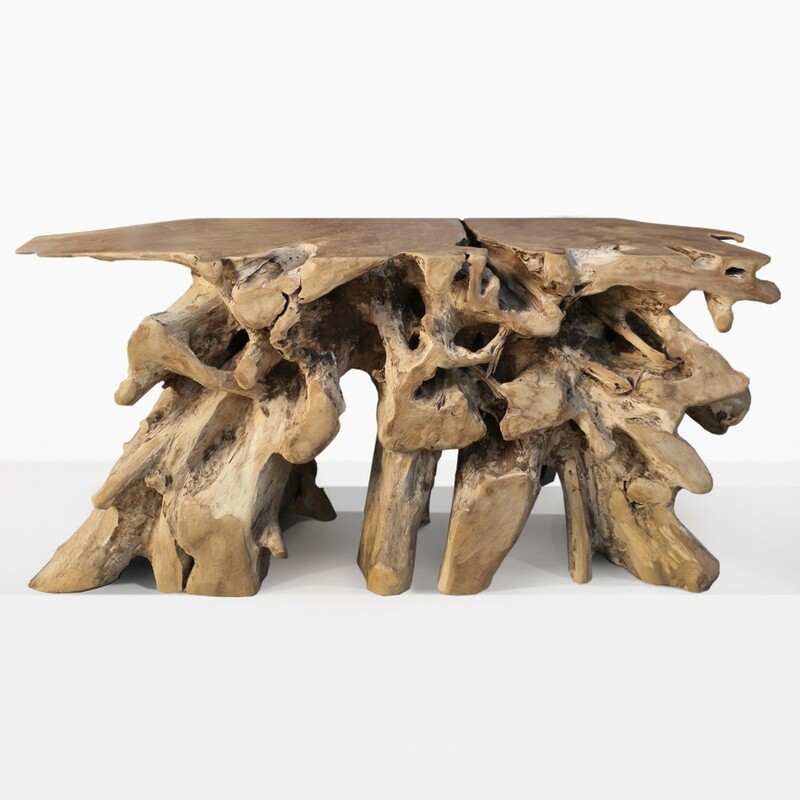 Call us today if you have any questions about purchasing the organic teak console table.